Propelled by the urgent necessity to rethink the politics of space, Queer Space sought to uncover various definitions of the terms “queer” and “space” and the conceptual bonds that unite them. 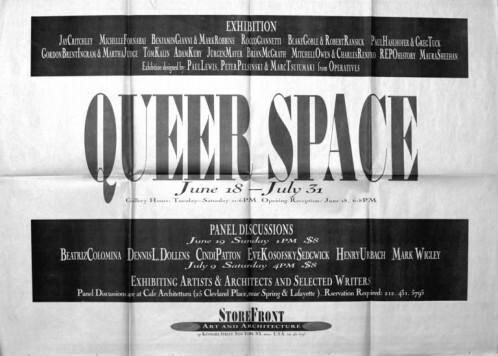 The exhibition was centered around a set of crucial interrogatives that defined the spatial politics of the early ’90s: How can minorities define their rights to occupy spaces within the city? How can such space be legitimized, given a history and a future? Is it even physical space that is in question, or is it the space of discursive practices, texts, codes of behavior and the regulatory norms that organize social life? 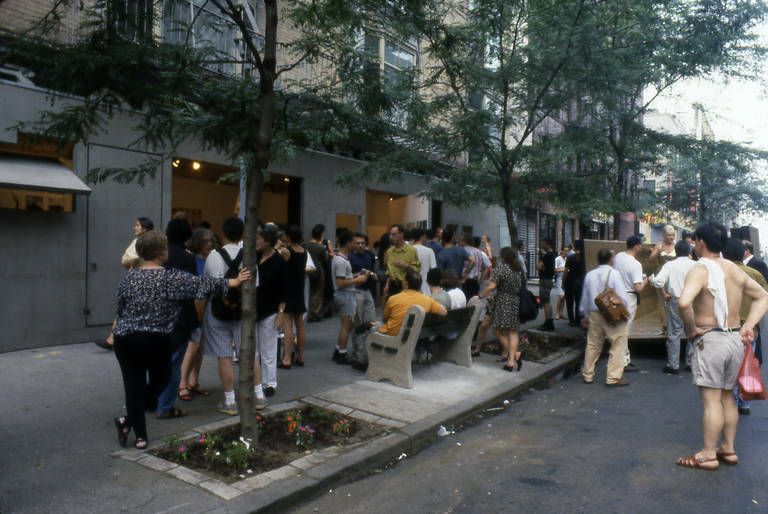 The installations, interventions and proposals at Storefront and at other locations around the city were an attempt to generate new ways of thinking about the social politics of space in the city.